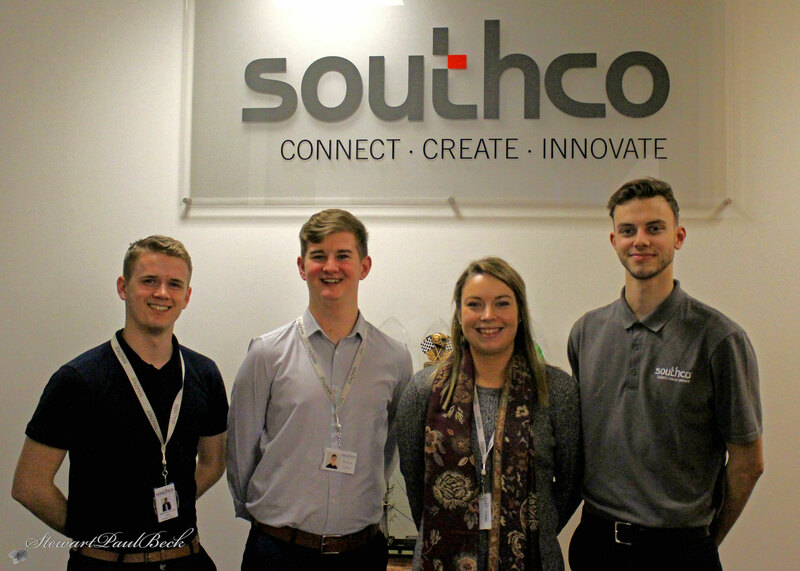 This week’s blog is dedicated to my first company visit – Southco Manufacturing! I’d like to give you an insight into the company that took me on to complete my apprenticeship. Over the next 12 months, through this blog, together we will visit various companies offering apprenticeships throughout Worcestershire. Understanding how both the company, and their apprentices, value apprenticeships. Southco Manufacturing Limited is part of a Global organisation employing over 3,500 people worldwide. We have two sites in the UK one in Worcester (350 people) and the other in Farnham, Surrey (115 people). Southco Manufacturing is the world leader in the design and manufacture of latches and access hardware with a client list of major companies in most industrial sectors. The pathways we offer are both craft and technical within many of our engineering and manufacturing departments, inclusive of, but not limited to, the tool room, quality, and design. These will last for between two and four years, depending on the level of apprenticeship offered. We currently employ 11 apprentices and the typical qualifications expected of you would depend on the type of apprenticeship you are looking for. From at least three C’s at GCSE including English and Maths for NVQ level 3, to A Levels or equivalent for higher apprenticeships. You will undertake at least one of the following courses during your apprenticeship; BTec, HNC, or HND as well as NVQ Level 2 & 3 in Manufacturing/Mechanical Engineering. To apply for an apprenticeship with us is mainly through our training providers, who advertise on our behalf through the government website. From what I have seen at Southco Manufacturing, apprentices can be the future pipeline of technical resources in the business. Through this experience, I’ve seen that apprentices can move through the business with great success. There is a supportive culture of learning and development and an established apprenticeship programme in the UK which enables individuals to grow and learn from experts in their chosen field. I for example, have taken on further study to become a graduate and have the added advantage of understanding how the company works, its ethos, and learning new skills on the job as I study. I also managed to get some time with a few of our apprentices to see what they think of apprenticeships and why they chose this pathway. Charlie Stainforth, Operational Excellence Apprentice, feels that “100% yes, an apprenticeship is worth completing over another pathway. You are getting the best of both! You’re gaining a qualification, which is what you get if you go to university, but also getting paid and gaining work experience, which you would get if you left college and went straight into work. Southco is one of many local companies throughout Worcestershire offering apprenticeship pathways. I hope that by giving you an insight into this business, and it’s apprentices, you feel motivated in investigating pathways into apprenticeships a little more than before you started reading this blog.